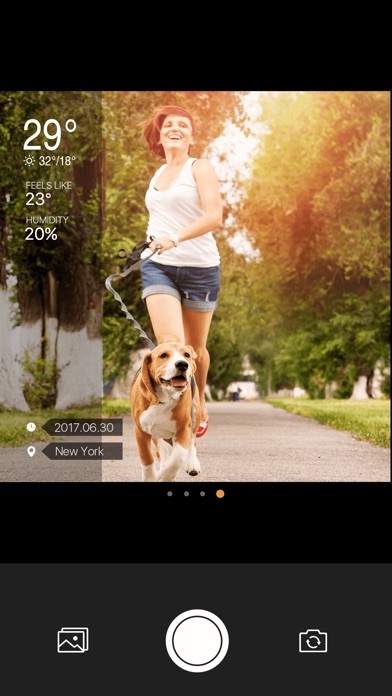 Weather Camera Sticker- The necessary tool for outdoor travel, to become stylish and quickly share information between friends. 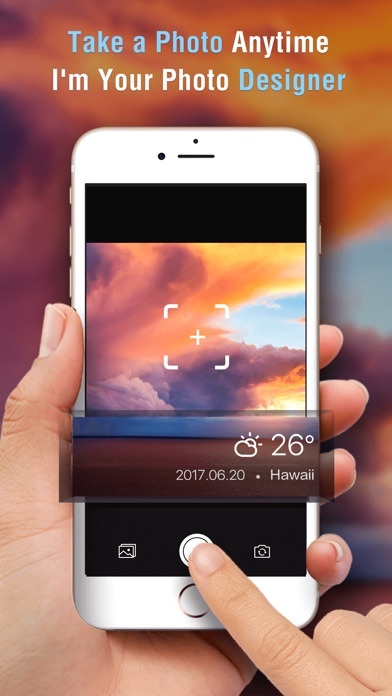 This camera that can decorate your photo with the current weather condition, sunrise and sunset time, wind speed, humidity, air quality, location, current time and other weather information. 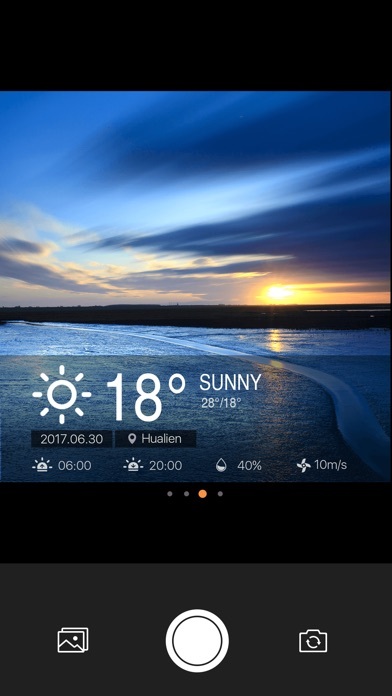 ~~~~~~~~~~~~ Main features: ~~~~~~~~~~~~ -【Real-time display】accurately show the real-time weather condition, current location and time. 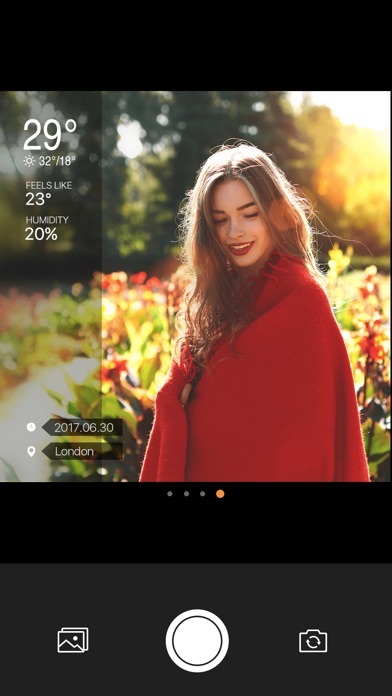 -【one click optimazition】 don't need to edit your photo step by step, it will automatically become beautiful when taking pictures. 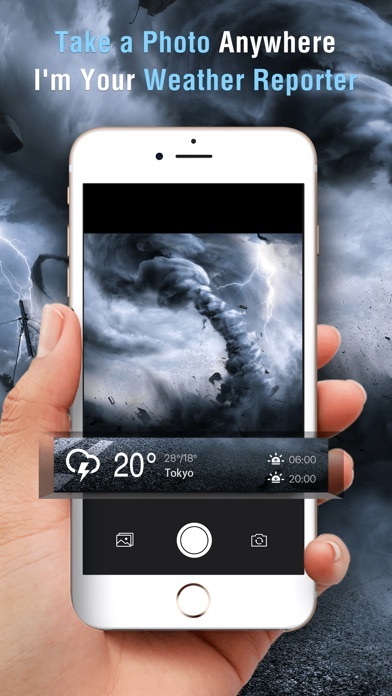 -【Interesting sharing】say goodbye to the boring sharing of weather data, and enjoy a real, interesting, and beautiful share process. 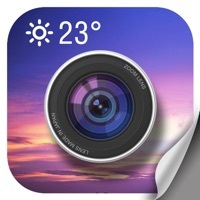 -【Advanced quality】professional design templates, make your photos more fashionable. -【Multiple templates】keep to update the templates, give you more choices.